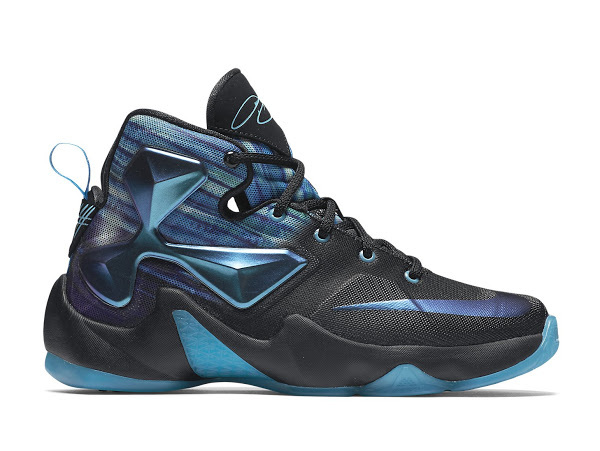 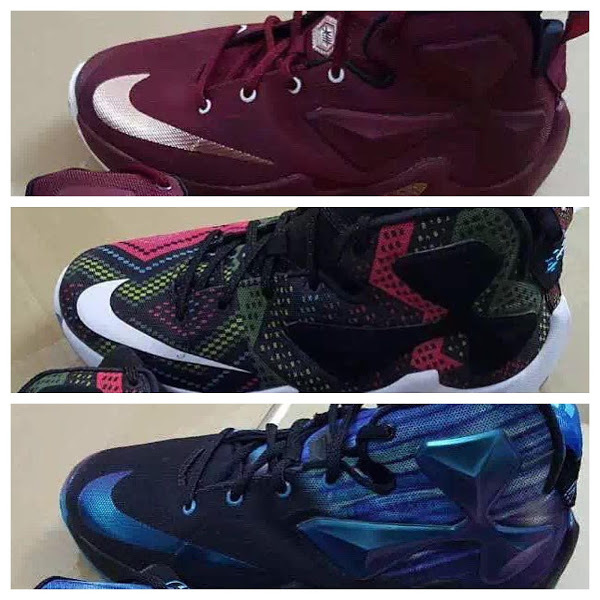 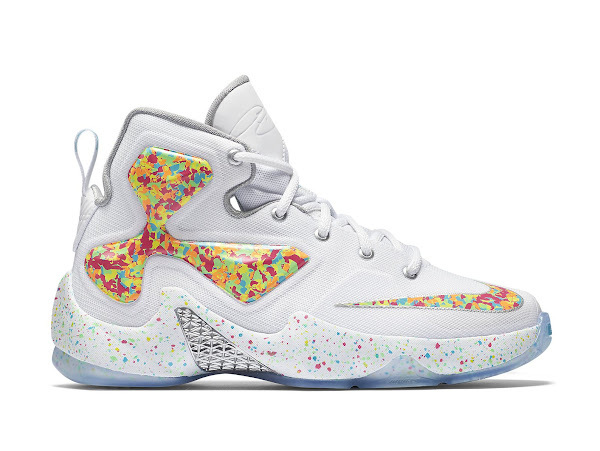 The Nike LeBron 11 had it. 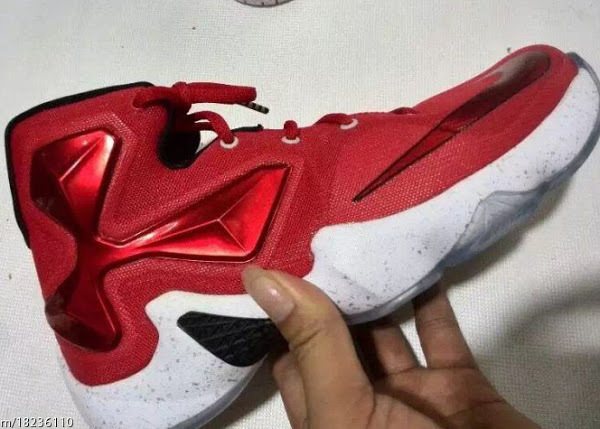 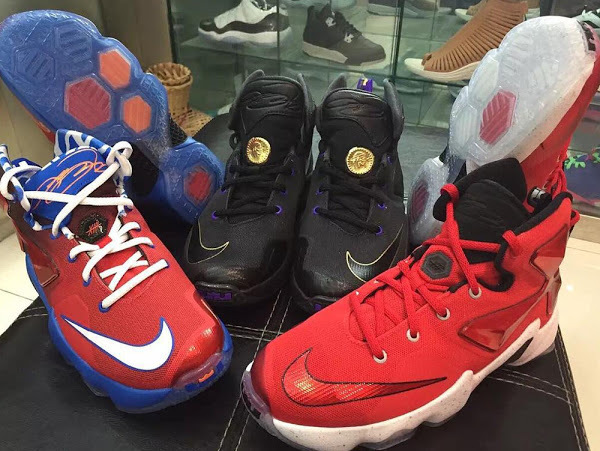 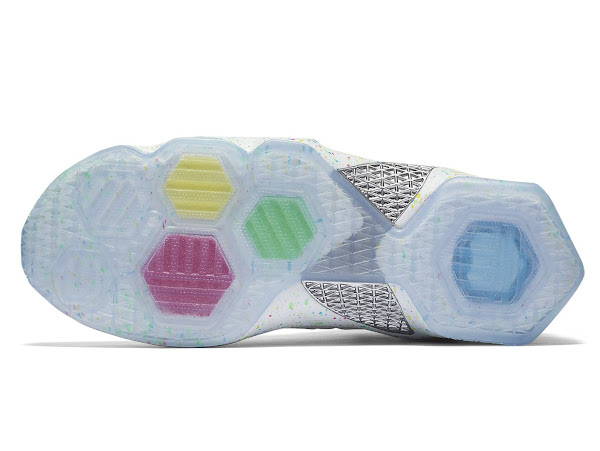 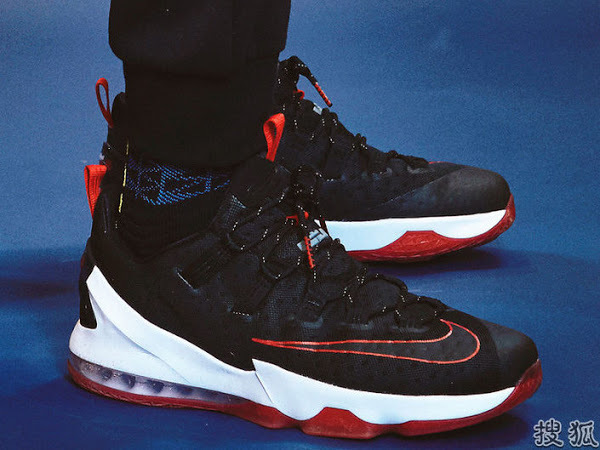 The Nike LeBron 12 had it. 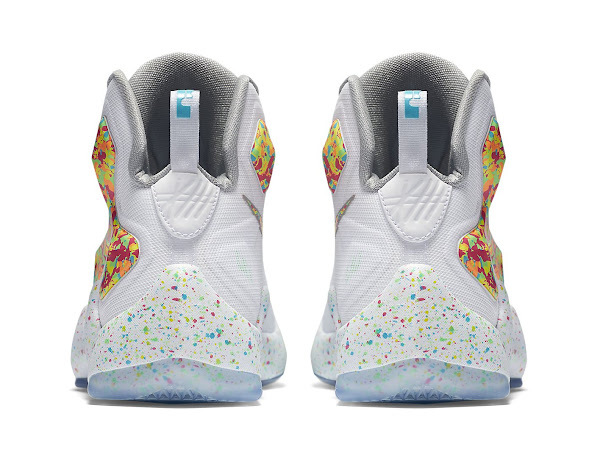 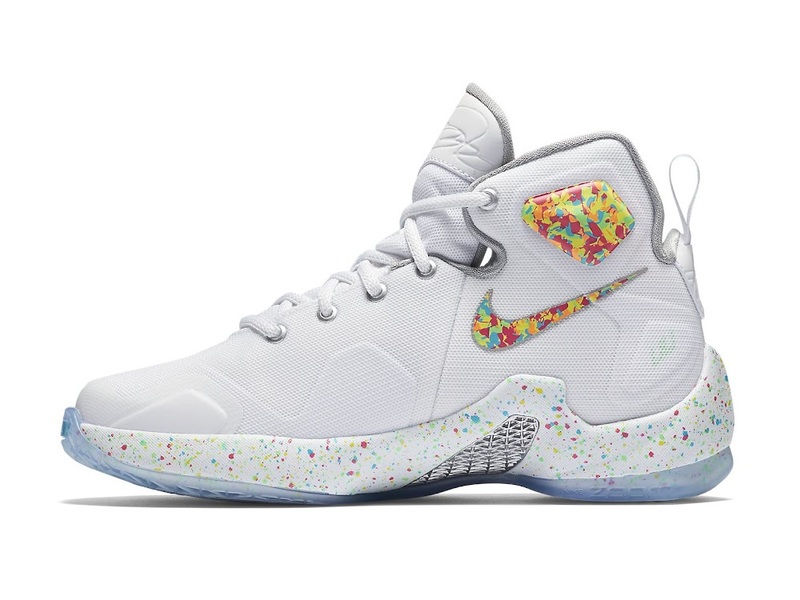 And now the Nike LeBron 13 has a Fruity Pebbles colorway available to buy in Kids’ sizes. 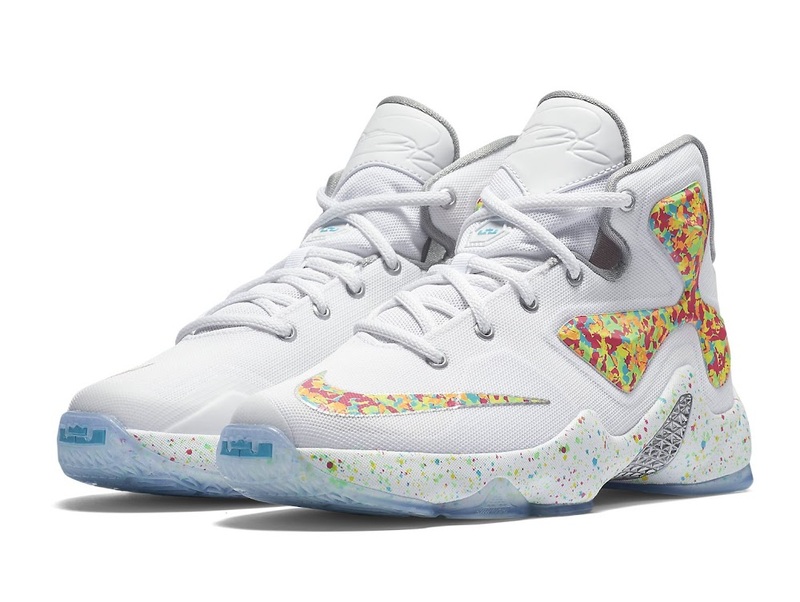 Inspired by LeBron James’ favorite cereal the “Fruity Pebbles” LeBron XIII GS features multicolor detailing on a predominantly white upper. The pebbles detaling appears on the Nike logos the stability wing and the midsole while metallic silver complements the look throughout and a blue-tinted translucent sits below. 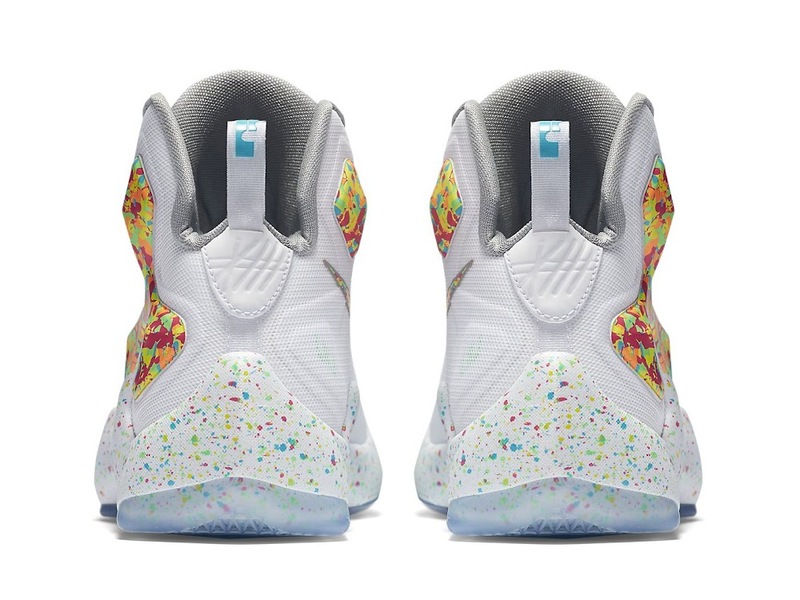 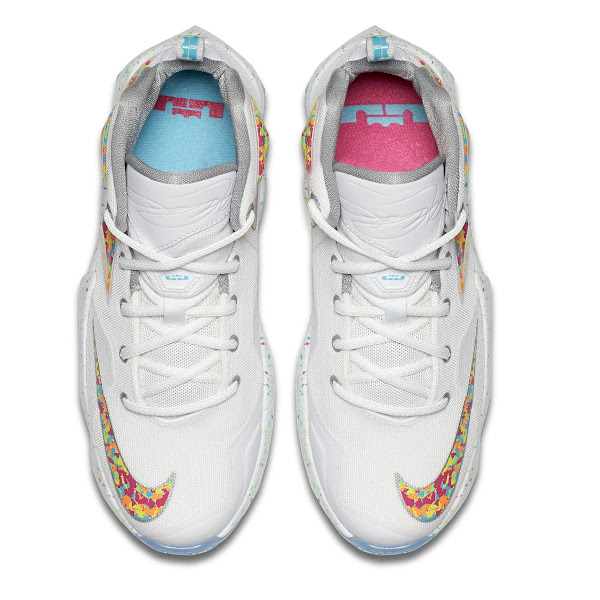 The Fruity Pebbles 13’s are available now at nikestore.com for $165… just for Kids.